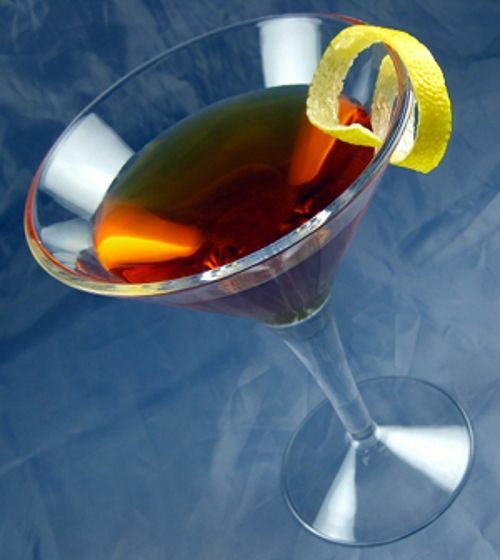 In a mixing glass half-filled with ice cubes, combine the scotch, drambuie, and vermouth. Stir well. Strain into a cocktail glass. Garnish with a lemon twist.